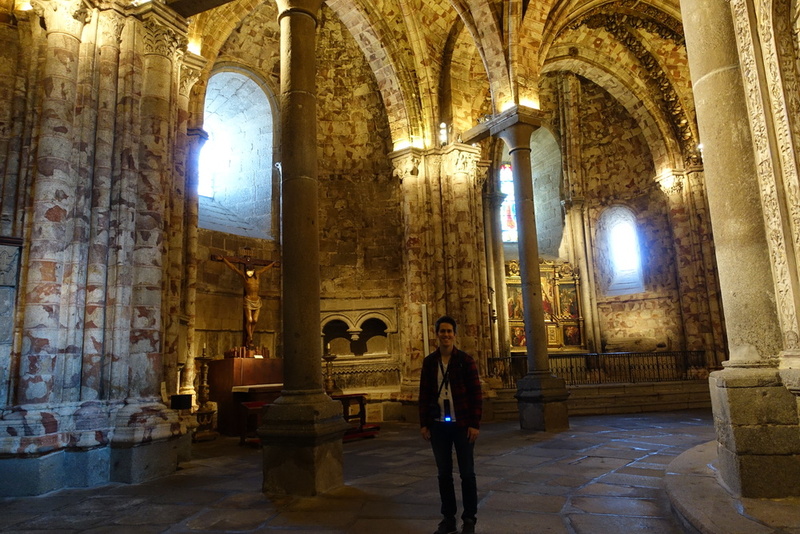 When we were in Avila, I realized that a year ago, I had no desire to go to Spain. 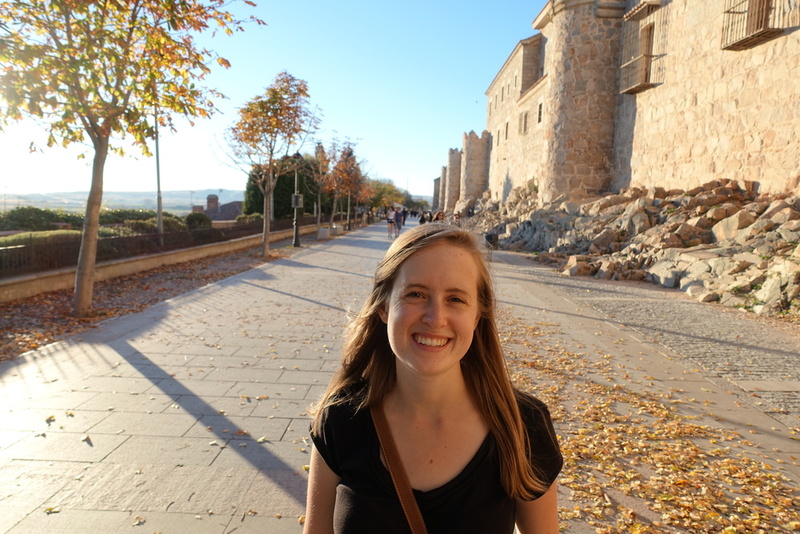 In my naïveté, I had no idea that Spain held so much history, so many beautiful sights, and so much...Europe? Let me explain that last one. I associate Europe with cobblestone streets, old beautiful buildings, grand parks, cute cafés with outdoor seating, and much more. 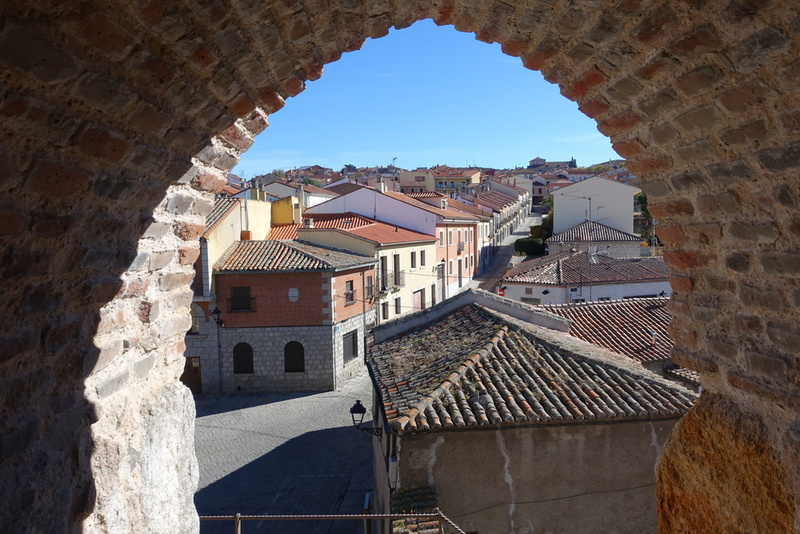 It conjures up many images in my head, and for some reason, and I felt that Spain was just different, and didn't really fit within that European stereotype I had in my head, although that's not necessarily a bad thing. However, so far I've seen that Spain is very European, yet very Spanish, and I absolutely love it. I'm seeing that I could live in Spain for the rest of my life and still not see it all, which is impressive considering it's a country that's only about twice the size of the U.S. state of Oregon. 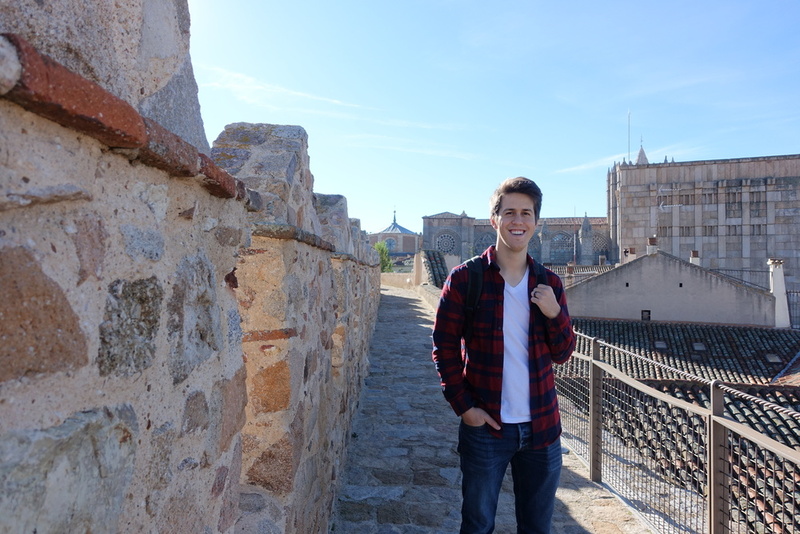 That being said, I continue to be impressed with how fun these little Spanish cities outside of Madrid are. A week ago Saturday, we took the train from Chamartin, one of the main stations in Madrid, to Avila. An hour and a half later, around 10am, we were in Avila. Because we are cheap, we decided to walk the 15-20 minutes from the train station to the historic part of town instead of taking the bus as most guides recommend. It was quiet, and we found our way easily. As usual, we stopped by the tourism office first to get a map of the town and ask a few questions. We decided to walk on the wall first before all of the tourists (besides us, of course) came and joined us, so we bought our tickets and climbed up. It was awesome and we took way too many pictures (you never know which ones will be good, you know?) because it was just so cool! I still can't get it over it. 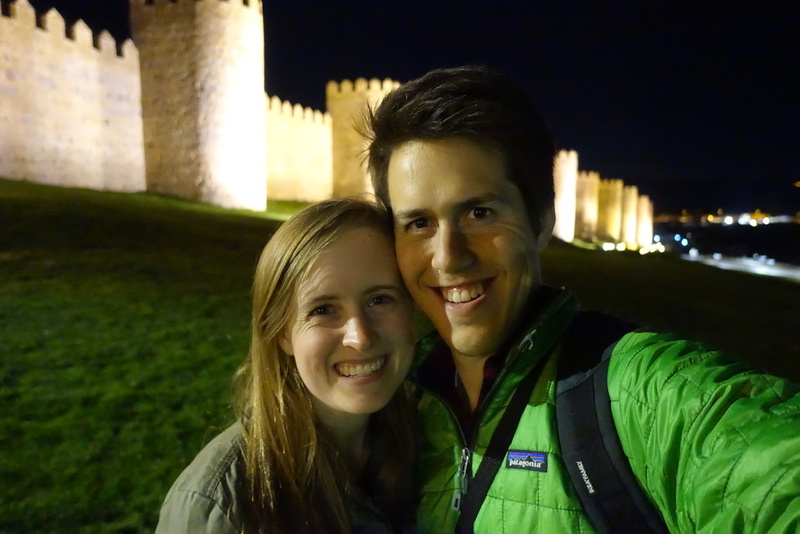 I know I said a few weeks ago that Segovia was my favorite but now...I don't know...the walls at Avila are pretty neat. We walked around the longest section of the wall first, which can be accessed within one of the tourism offices - the one near the cathedral. We went up into each of the turrets as each view is a little different, and spent about two hours walking around and exploring. Upon exiting the wall at the Gate of El Puente, we walked up to an overlook, where you can see a good portion of the wall and the city, both the parts inside and outside of the wall. We ate our picnic lunch on a bench in the shadow of the wall before walking along the base of the wall into the historic part of town. We toured the cathedral, which is actually connected to the wall - its apse is one of the turrets of the wall! 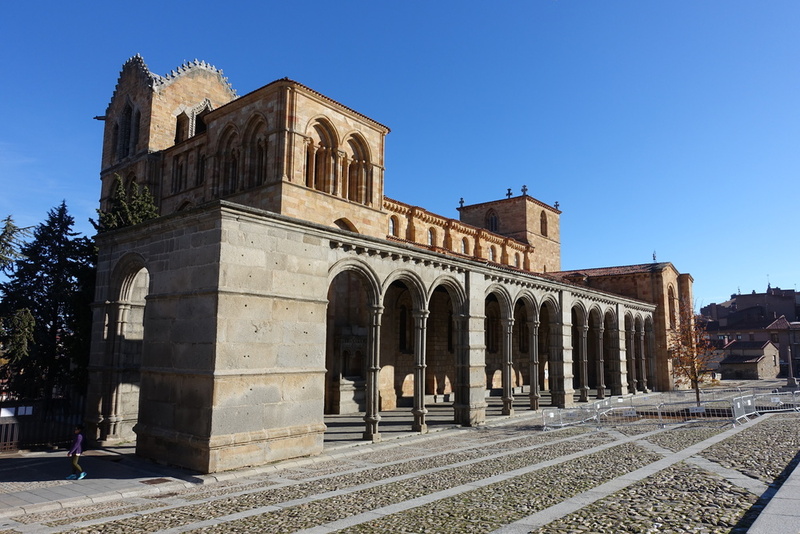 It was built in the 12th century, and along with the cathedral of Cuenca, they are considered the first two Gothic cathedrals in Spain. We did the (English) audio guide tour of the cathedral, which in all honestly, we didn't find too enlightening, but it did lengthen our visit from about 10-15 minutes to 45-60 minutes. The interior is unique in that red and white granite was used for certain parts of the interior, something we have never seen on the interior of a cathedral before. I had about a fourth of one before I realized that they tasted like one of my least favorite flavors: egg. Danny took one for the team and ate the rest of the box. After the yema recovery, we walked the final section of the wall and a lovely path along the outside of it before finding a cafe to eat sandwiches at once it got dark. After dinner, we walked back to the section of the wall that we thought would be the nicest lit up at night, and enjoyed the wall in the dark. It was really nice, and we stuck around until it was time to walk back into town for our 8pm train to Madrid. 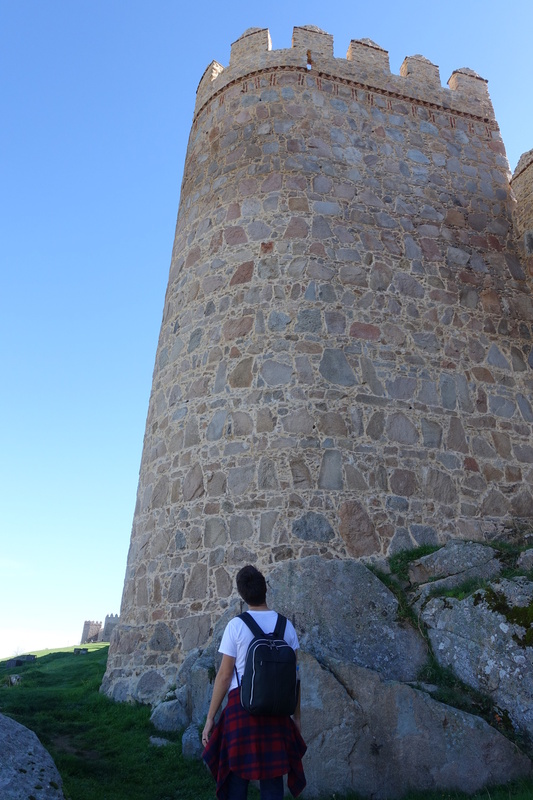 I know that there's more to see and do in Avila, but for us, it took us most of the day to fully explore the wall. 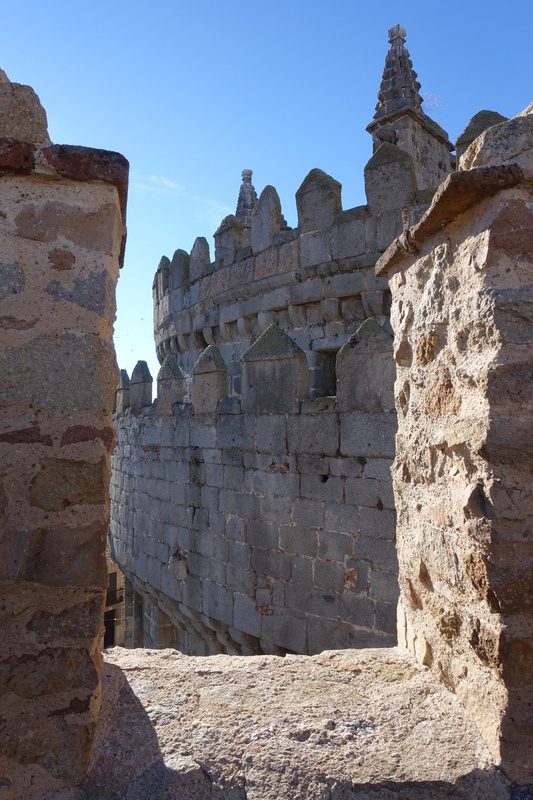 We went up into each turret, walked the entirety of the wall, went to the Cuatro Postres for a good view of the wall, and walked along the base of the wall for a better sense of its enormity. We didn't do all that because we were bored or because there was nothing else to do, but because we thought the wall was so neat and worth our time more than other things in Avila. The cathedral was a good break from all of the wall-related activities, and is quite beautiful, especially the red and white granite which is so unusual for a cathedral. 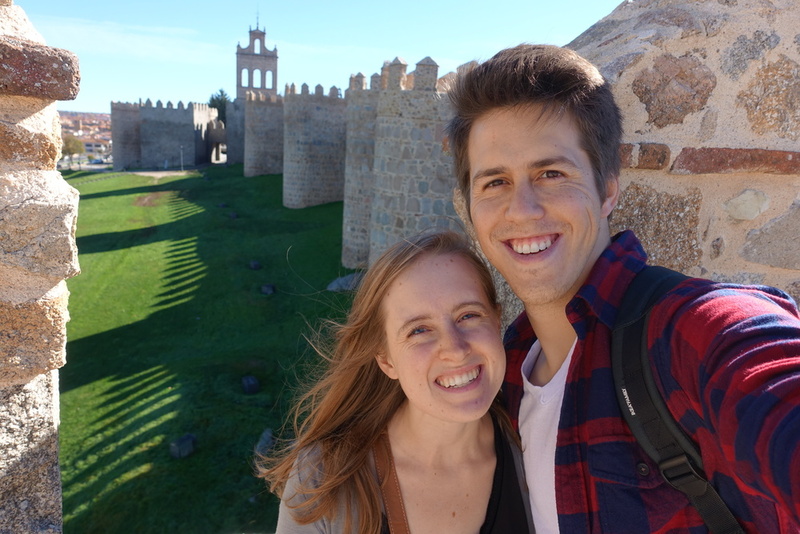 We were in Avila for ten hours, and felt like for what we really wanted to do it, it was fine. However, if we wanted to see other churches or the convent or explore the historic part of town further (all things that would be worth doing), it would be great to stay the night. On the train ride home, we bought the cheapest tickets possible, which meant that we had to transfer to the Cercanias at El Escorial, and take that the rest of the way home. It was fine, it just took a bit longer (two hours instead of an hour and a half). However, it really paid off. Almost as soon as we sat down, the guy sitting across the way from us struck up a conversation with us (in English) and we talked the rest of the way home. His name is Sam, he's from Arizona, and in the course of the conversation we found out that we were both planning to go to Porto, Portugal this past weekend. So, this past Saturday and Sunday we met up in Porto! We went to dinner together one day, and the next day we went to the bookstore, figured out how to get to the beach, and finished off the day with some delicious ice cream. 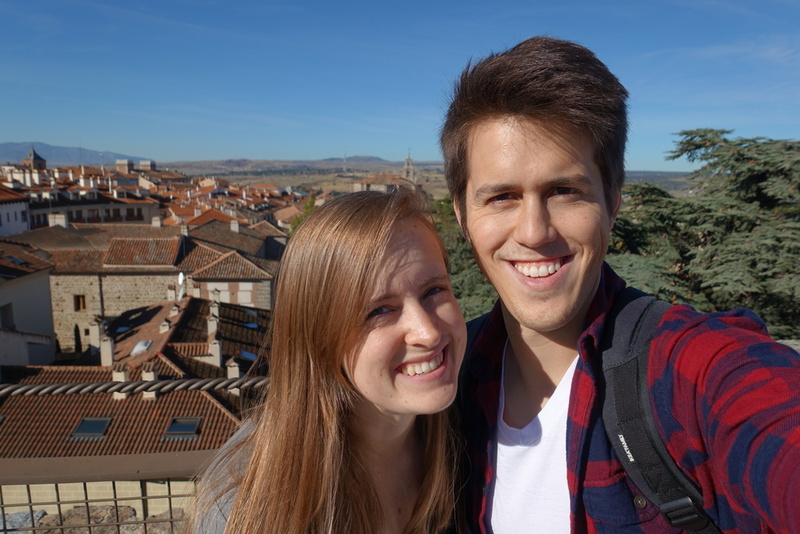 We had a great time exploring another country together, and it was really cool how it all worked out. So - our take on Avila. 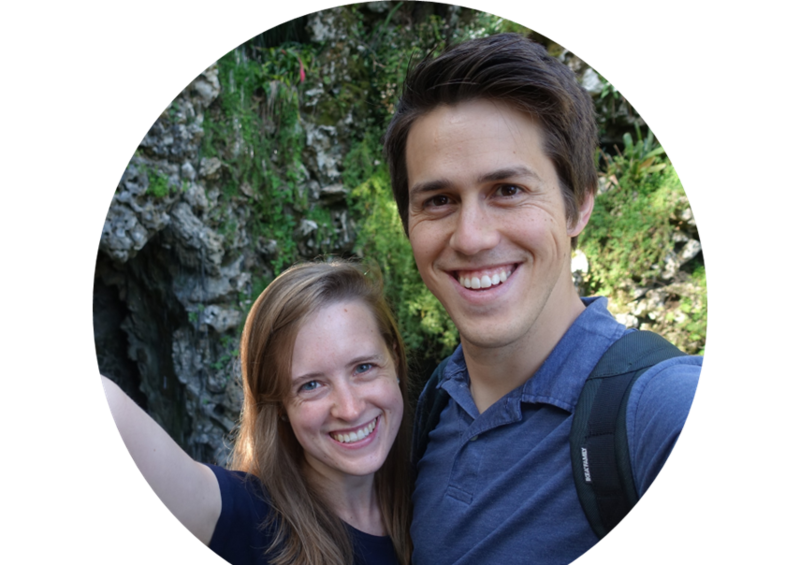 Super great, super worth doing, and very doable in a day if you don't (or even if you do!) spend the majority of your day on/around the wall.